For the second consecutive year, Turning Stone is recognized as the only resort in New York to have earned a Forbes Four-Star rating in every award category. Continuing its legacy for exemplary guest service and world-class amenities, Turning Stone Resort Casino is proud to announce it has earned three coveted Four-Star Awards from the prestigious Forbes Travel Guide for 2018. Being honored for the second consecutive year are the resort’s Wildflowers restaurant and luxurious Skana spa, and for the third consecutive year, The Lodge, its Adirondack style all-suite hotel. Turning Stone remains the only resort in the Northeast to have earned three Forbes Four-Star Awards and three AAA Four Diamond awards at one property. With its second Forbes Four-Star rating and an array of other elite awards, Wildflowers is renowned as one of New York’s top restaurants. The venue further secured its reputation by recently unveiling a new menu of Contemporary American cuisine. Wildflowers’ distinctive menu boasts only the finest fresh ingredients, fresh catch seafood, perfectly prepared steaks and more. The talented chefs at Wildflowers offer a wide-ranging assortment of variations and exceptional pairings for a truly unique dining experience. Turning Stone’s Skana spa also received the award for the second year running, based on its soothing treatments and modern amenities. Its spa therapy, exceptional services and stunning architecture create the ultimate in relaxing experiences that fuse perfectly with Skana's unique American Indian cultural themes. 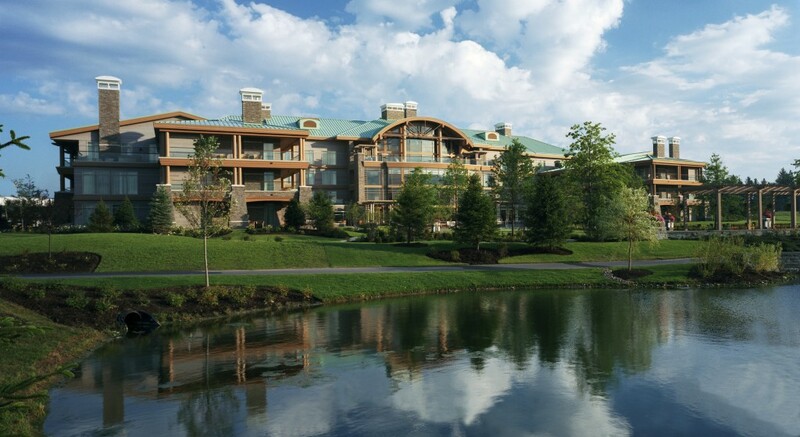 Earning its third Four-Star rating from Forbes Travel Guide is Turning Stone’s elegant and serene, Adirondack-style all-suite hotel The Lodge. Home to Turning Stone’s other two exceptional venues earning this Forbes recognition, The Lodge is known for its perfection when it comes to pampering guests who visit from around the world. This exquisite hideaway combines luxurious services and privacy with easy access to the resort’s wide-ranging entertainment and dining options, delivering a superior accommodations experience. To determine its Star Award winners, Forbes Travel Guide’s highly trained inspectors anonymously visit every property they rate, evaluating each based on up to 900 rigorous and objective criteria and enabling guests to make the best, most informed travel and leisure choices. The only independent, global rating system for luxury hotels, restaurants and spas, Forbes has been verifying luxury since 1958. Hosting more than 4.5 million visitors a year, Turning Stone is one of the top five tourist destinations in New York. Its sprawling 3,400-acre property is home to an array of world-class amenities, including pristine golf courses and a variety of nightlife venues. To see the Forbes listings for Wildflowers, The Lodge and Skana, and the entire collection of 2018 Forbes Travel Guide Star Award Winners, click here.